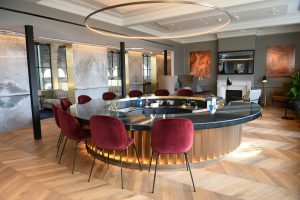 Eurostar's reboot of its Business Premier Lounge at Gare du Nord in Paris is a win-win for rail travellers. In a nod to the increasing number of business-class passengers adopting its high-speed rail service between the UK and Europe, Eurostar has announced the opening of its brand-spanking new Business Premier Lounge at Gare du Nord in Paris. 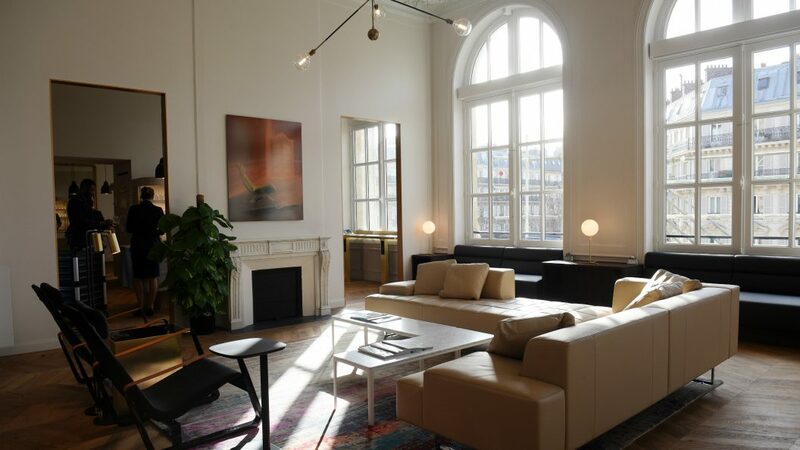 As comfortable to work in as it is for relaxing, the new lounge – located on the top floor of the original 19th station building in the heart of Paris – boasts a stylish, airy design created by internationally recognized architects Softroom. 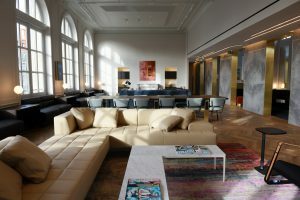 In addition to its high ceilings and intimate cozy spaces reminiscent of a Parisian apartment, the lounge also features exquisite marble fireplaces along with Wi-Fi and wireless chargers. Another nice touch is the lounge’s fine collection of French contemporary artwork, pulled together by the Hospital Club in London. Perhaps its most appealing feature, however, is its circular sunken cocktail bar. Tucked away at the rear of the lounge, this delightful black and gold circular bar offers a broad selection of cocktails exclusively curated by the London Cocktail Club for Eurostar guests. Those looking for something a little less stimulating to drink will enjoy the lounge’s bespoke tea, especially created by British tea producer, Tregothnan. Eurostar is also expanding upon the lounge’s food offerings, too. Highlights of its open-kitchen’s extensive breakfast, lunch and dinner menus are a selection of canapés, healthy salads, juices along with hot and cold seasonal dishes created by Michelin star chef Raymond Blanc. Click here to find out more about Eurostar’s Business Premier service.